Get on the Student Waitlist for Spirit Awards Tickets! Celebrating the Entrepreneurial Spirit in the Inland Empire! In 2003, the Inland Empire Center for Entrepreneurship (IECE) at California State University San Bernardino, founded the annual "Spirit of the Entrepreneur" Awards Program in the Inland Empire. Now in its 16th year, the awards are a reflection of our passionate belief that the Inland Empire community should honor and reward the entrepreneurial men and women who innovate, take risks and build businesses that contribute significantly to our local economy. 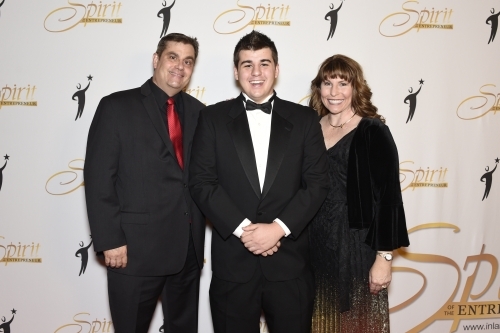 Last year over 900 attendees helped celebrate the 15th anniversary of the Spirit Awards at the Riverside Convention Center! See all the award recipients from last year's momentous event! Relive an Evening of Celebration! Did you attend the Spirit Awards in a previous year? Or are you curious about what to expect? Check out the Spirit Gallery, where we've captured the best moments from the red carpet to the after party. 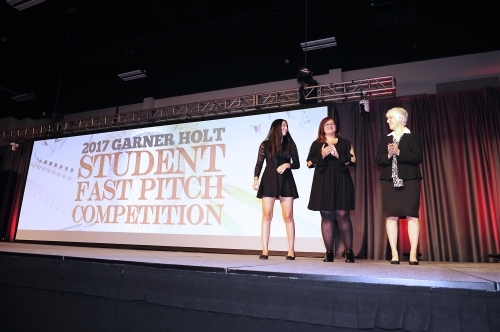 The top 5 finalists from the Garner Holt Student Fast Pitch Competition take the Spirit stage to deliver their final 90-second pitch to 900 guests consisting of the top business owners in the Inland Empire! Since the creation of the Spirit of the Entrepreneur Scholarship Fund in 2003, over $170,000 in scholarships have been awarded to students to assist them in achieving their entrepreneurial degree! Celebrate entrepreneurial success while aligning your brand with the top professionals of the Inland Empire by partnering as a sponsor! Explore the opportunities & contact Mike Stull at mstull@csusb.edu for more information. Students, the Spirit Awards is an excellent opportunity to be involved with impacting your local professional community. See how you can contribute! Volunteer opportunities are available on multiple dates - Sign Up! 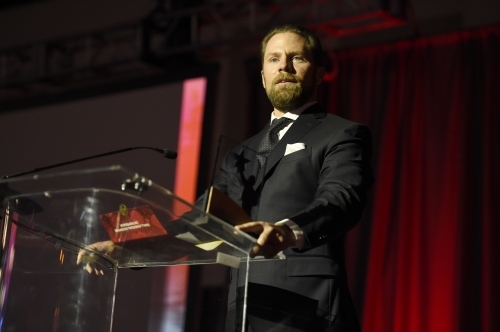 Get your Spirit of the Entrepreneur Awards VIP and gala tickets now! 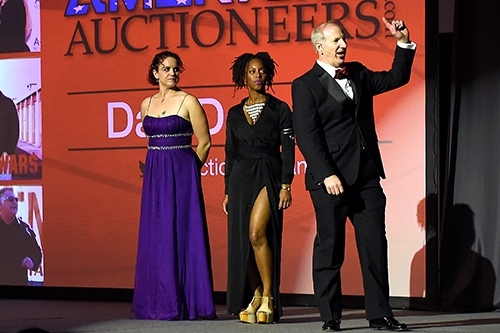 Secure your seats for the biggest black-tie event of the year on November 15th, 2018 at the Riverside Convention Center!